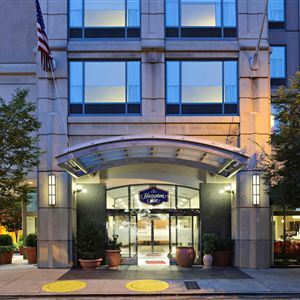 Property Location Hampton Inn Philadelphia Center City-Convention Center is in the heart of Philadelphia, walking distance from Pennsylvania Academy of the Fine Arts and Pennsylvania Convention Center. This hotel is close to Liberty Bell Center and Independence Hall. Rooms Make yourself at home in one of the 250 air-conditioned rooms featuring LCD televisions. Complimentary wireless Internet access keeps you connected, and cable programming is available for your entertainment. Private bathrooms with shower/tub combinations feature complimentary toiletries and hair dryers. Conveniences include safes and desks, as well as phones with free local calls. Amenities Don't miss out on recreational opportunities including a spa tub and a fitness center. Additional features at this hotel include complimentary wireless Internet access, concierge services, and wedding services. Dining Enjoy a satisfying meal at a restaurant serving guests of Hampton Inn Philadelphia Center City-Convention Center. Quench your thirst with your favorite drink at a bar/lounge. Business, Other Amenities Featured amenities include a 24-hour business center, express check-in, and express check-out. Planning an event in Philadelphia? This hotel has facilities measuring 3752 square feet (349 square meters), including meeting rooms. Self parking (subject to charges) is available onsite. 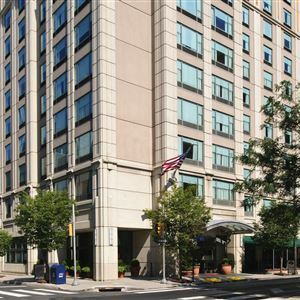 Hampton Inn Philadelphia Center City-Convention Center is in the heart of Philadelphia, walking distance from Pennsylvania Academy of the Fine Arts and Pennsylvania Convention Center. This hotel is close to Liberty Bell Center and Independence Hall. Make yourself at home in one of the 250 air-conditioned rooms featuring LCD televisions. Complimentary wireless Internet access keeps you connected, and cable programming is available for your entertainment. Private bathrooms with shower/tub combinations feature complimentary toiletries and hair dryers. Conveniences include safes and desks, as well as phones with free local calls. Don't miss out on recreational opportunities including a spa tub and a fitness center. Additional features at this hotel include complimentary wireless Internet access, concierge services, and wedding services. Enjoy a satisfying meal at a restaurant serving guests of Hampton Inn Philadelphia Center City-Convention Center. Quench your thirst with your favorite drink at a bar/lounge. Featured amenities include a 24-hour business center, express check-in, and express check-out. Planning an event in Philadelphia? This hotel has facilities measuring 3752 square feet (349 square meters), including meeting rooms. Self parking (subject to charges) is available onsite.